Over the past twenty years, German-speaking operetta has been enjoying a revival, especially Berlin operettas of the Weimar Republic by ﬁgures such as Paul Abraham, Oscar Straus, and Ralph Benatzky. Stages like the Komische Oper in Berlin have been rediscovering forgotten works and reinterpreting classics to expose their youthful, anarchic, and often queer sensibilities. The sensational opening salvo for this new wave of operetta productions was a 1994 production of Benatzky’s war-horse Im weißen Rössl in Berlin’s intimate cabaret Bar jeder Vernunft, starring cult ﬁgures of the sub-cultural scene such as the Geschwister Pﬁster alongside mainstream actors like Otto Sander and the popular bandleader Max Raabe. Until then, this work was remembered primarily for the corny 1960 ﬁlm adaptation starring Peter Alexander, and the title long evoked scorn for its alleged sentimentality and kitsch – an accusation the Nazis had already made against it. New interpretations, both on stage and on the printed page, reveal that there is much more to the operetta, and that it may indeed be viewed as a key work of Berlin’s popular culture between the wars. Modern scholars champion Im weißen Rössl as an impudent, parodic send-up of genres, clichés, and identities; indeed, the irony and satire in the work were, as we now are given to understand, at the core of its 1930 premiere production at the hands of the gay director and dancer Erik Charell in Berlin’s Großes Schauspielhaus, where it was mounted as a hilariously over-the-top revue spectacle, playing more than 400 performances to a house of 3500 viewers. 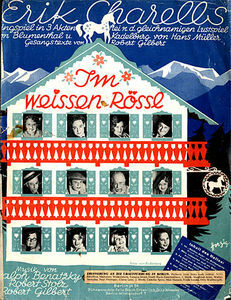 Sheet music cover for “Im weißen Rössl” 1930. 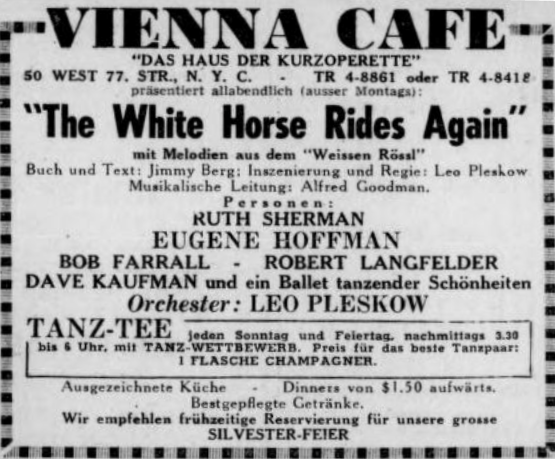 It then went around the world, including to London and New York (as The White Horse Inn), and also reappeared in a host of adaptations and parodies; most recently, it was modernized in the campy ﬁlm comedy Im weißen Rössl – Wehe, du singst! of 2013. That this is the third book devoted to this operetta to appear in just over ten years (following Ulrich Tadday, ed., 2006, and Helmut Peter/Kevin Clarke, 2007) attests to the work’s growing status beyond mere cult fandom. Derived from a hit comedy of 1898 by Oskar Blumenthal and Gustav Kadelburg, Im weißen Rössl revolves around the urban and rural character types at an Austrian tourist hotel and their misplaced love interests. Many of the songs, with clever lyrics by Robert Gilbert, became evergreens (“Was kann der Sigismund dafür, dass er so schön ist” and others). The newest impetus for reassessment is the 2008 rediscovery of the original orchestral arrangements thought lost during World War Two. They attest to the witty, jazzy character of the 1930 score, which was obscured by the more conventional, homogenizing orchestration that has been in circulation since 1951. 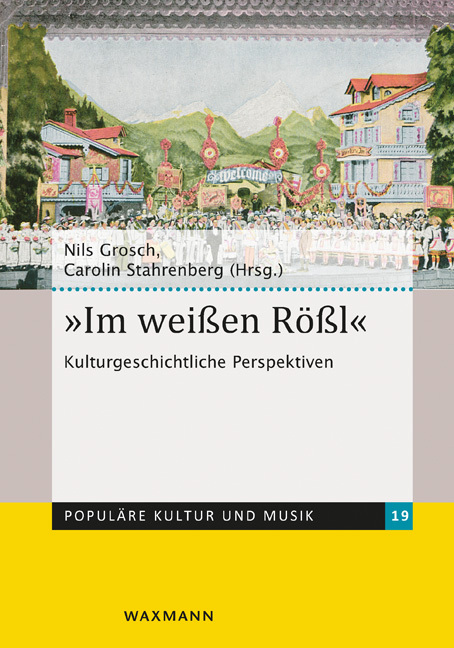 This archaeological revelation launches the volume of essays under review here that grew out of a 2015 symposium in St.Wolfgang, bringing together historians from music, literature, theater, and media studies to again cast light on the work, its genesis, and its reception. As editors Nils Grosch and Carolin Stahrenberg observe in their opening portrait, a new era of research and productions has begun. The far-ranging critical essays are therefore interspersed with short highlights from artists involved in novel contemporary productions. The initial studies reveal the complexities of authorship in popular culture, such as the previously overlooked but crucial role of the musical arranger Eduard Künneke, himself a composer of note, who emerges here as a co-creator hidden in anonymity. Wolfgang Jansen and Fréderic Döhl examine the arguably underestimated roles of the librettist Hans Müller and the producer-director Erik Charell respectively; Nicole Haitzinger emphasizes the central (though difﬁcult-to-document) function of choreography in the work, while others draw attention to the supporting composers, above all Robert Stolz, and the changing incarnations of the production as it relocated to other cultures, such as Jimmy Berg’s émigré parodies in New York. 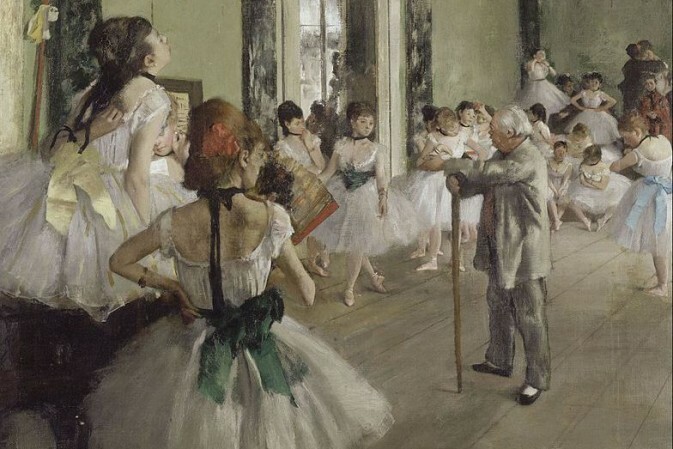 Grosch, in an essay of his own, similarly exposes the ambiguities of genre revealed here, tracing how the work oscillates between Singspiel, operetta, revue, and musical. 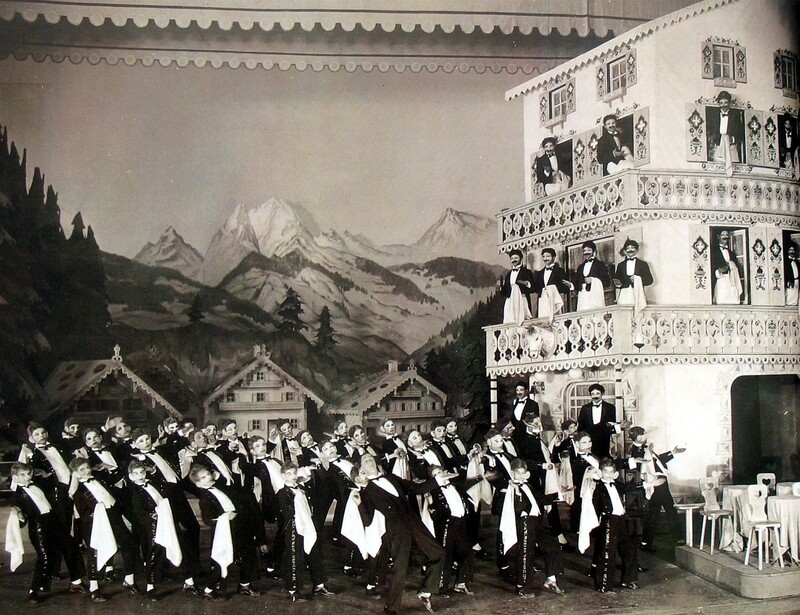 Subsequent contributions move from the historical to the interpretational, looking into the Jewish dimensions of the operetta (noting its largely Jewish authorship), its humorous techniques, its uses of the theme of tourism, and its multimedia interactions. 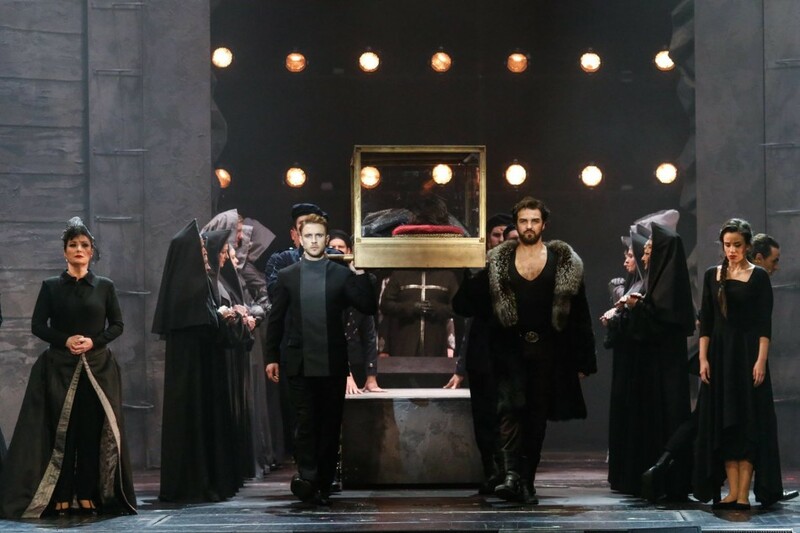 Above all, it is the ironic and self-reﬂective power found throughout the text, music, and staging – long overlooked but now rediscovered – that offer the potential to raise Im weißen Rössl beyond the trivial to the ranks of a masterpiece. Though the volume’s restriction to one work gives it a tighter focus than most such conference collections, it does not attempt a cohesive and systematic overview, and some of the later chapters go somewhat aﬁeld. A good introduction establishing the previous scholarly groundwork would have been helpful for outsiders coming to the work for the ﬁrst time, and a solid critical review of the screen adaptations (of which there are four since 1935, plus a Danish version, a television ﬁlm, and a silent ﬁlm of the original comedy) from a cinema history standpoint is still sorely needed. 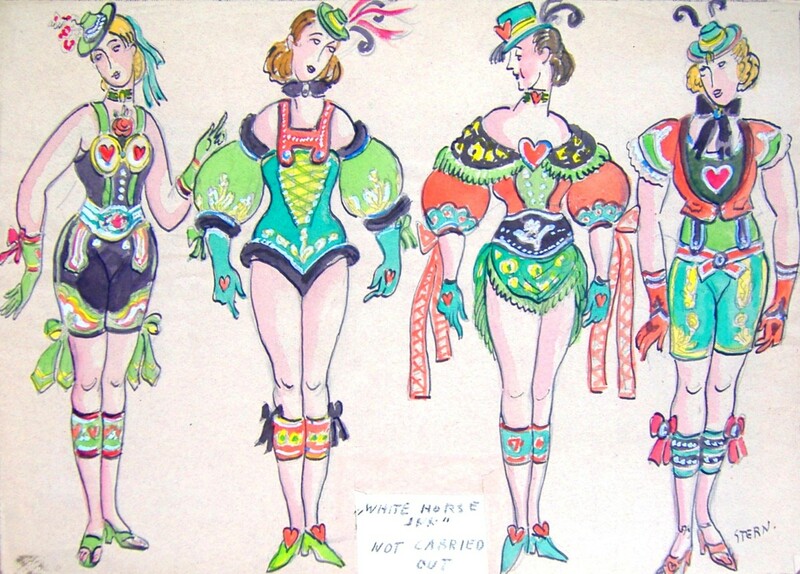 The collection beneﬁts greatly from photos of old and new productions (many in color) and historical documents such as advertisements and costume designs, as well as a reprint of the complete original program booklet from Charell’s production. With the serious, engaging, and diverse studies gathered in this volume, Im weißen Rössl is clearly growing into a newly appreciated milestone of Weimar culture, promising fodder for yet another generation of stage and screen embodiments and scholarly investigations.